In this episode Dr. Scott Hancock discusses the work of the historian. In particular he talks about his research interest in the African American experience and the Underground Railroad. While it is part of the 19th century, the underground railroad continues in our times with people crossing borders, human trafficking, etc. In addition, he discussed the state monuments on the battlefield and what they are teaching and saying to onlookers. Often one party receives more votes for congress or the legislature and ends up with fewer representatives. The reason is “gerrymandering”: shaping voting districts to favor one party or the other. Steven Niebler, Coordinator, Fair Districts, Adams County, a Sub-group of Fair Districts, Pennsylvania, argues that the key to this unbalance is that elected officials choose their own voters. “Fair Districts,” a non-partisan advocacy group, proposes an eleven-member commission, chosen partly at random and partly by serious vetting, to set impartial boundaries. Pittsburgh and Paris: Why Are Persons of Color Attracted to the City of Light? Dr. Nelson Strobert, Professor Emeritus of Christian Education, Gettysburg Lutheran Seminary, and author, Daniel Alexander Payne, distinguishes between a tourist and a traveler, and cites three travelers of color who journeyed to Paris to round out their education, and discovered “liberty, equality, and fraternity” as they had not in America. American Elections: Why Have We Become so Divided? 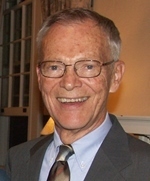 Dr. Kenneth Mott, Professor of Political Science at Gettysburg College explains that beginning with the nomination of Senator Barry Goldwater in 1964 and the passage of the Civil Rights Act shortly thereafter, the two parties have moved away from the “middle” and toward the “more purified” or ideological. The reasons are complex but are mainly due to regionalism and segregation, as well as social media and an emphasis on individualism. The Rev. Scott Schul, Pastor, Grace Lutheran Church, State College, PA; and chair of the Policy Council, Lutheran Advocacy Ministry in Pennsylvania, describes the work of LAMPA (Lutheran Advocacy Ministry in Pennsylvania), one of several state agencies that put into practice the Social Statements of the Evangelical Lutheran Church in America. LAMPA sets policy, organizes resources, and then advocates for that policy in the state legislature. Two current involvements are opposition to same-day lending practices and promotion of nutrition in early education, especially breakfasts.